Yu-Gi-Oh! 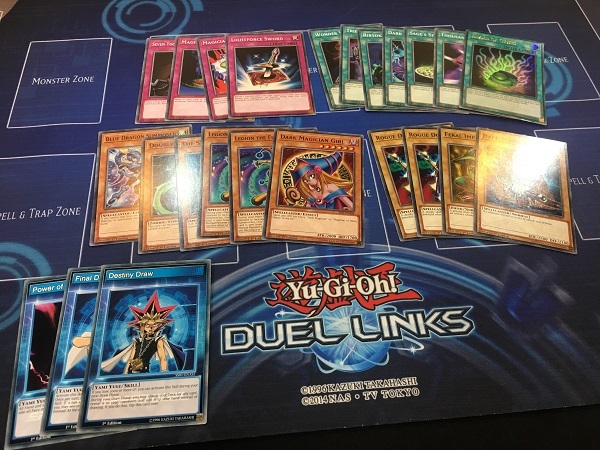 TCG Event Coverage » Get Ready for SPEED DUELING!! Home > 2018/11 - Pasadena, CA, Yu-Gi-Oh! Championship Series	> Get Ready for SPEED DUELING!! Get Ready for SPEED DUELING!! 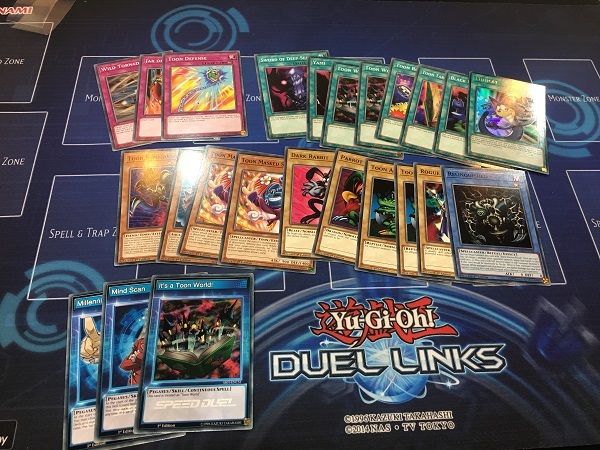 Speed Dueling is here at YCS Pasadena! 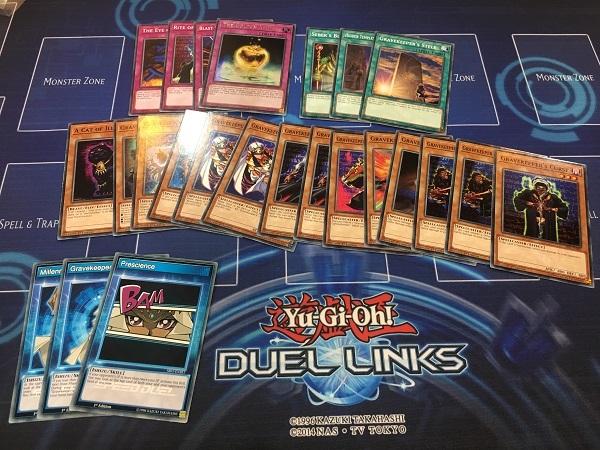 Although the Speed Dueling Decks are not yet officially released and won’t be released until 2019, Duelists here this weekend are allowed to borrow one of six different Decks to use in 8-player Speed Dueling tournaments held throughout the weekend! Speed Dueling works a lot like Dueling in Yu-Gi-Oh! 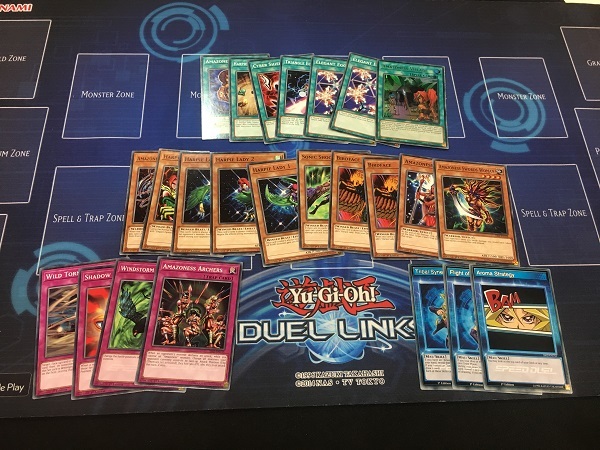 Duel Links – Duelists start with 4000 Life Points, start with 4 cards in their opening hands, only have 3 Monster Zones and 3 Spell & Trap Card Zones, and don’t get a Main Phase 2. Plus, each player chooses a Legendary Duelist to represent him or her, and chooses a Skill associated with that Legendary Duelist to use during that Duel. 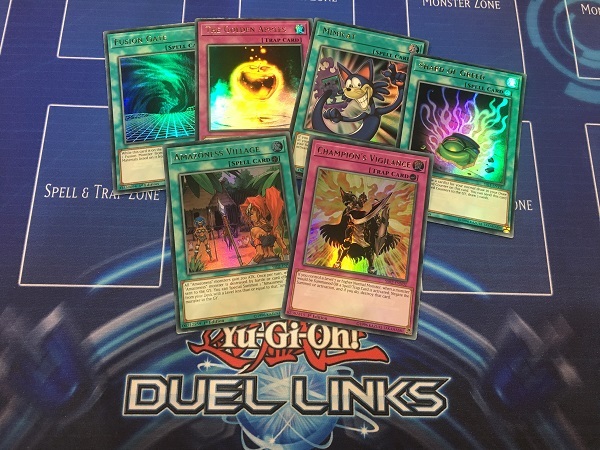 There are six different Legendary Duelists that you’ll be able to use to represent you in Speed Dueling upon its official release in January. The Speed Dueling Decks are sold in sets of 3. The first set of 3 Decks contains Decks and Skill Cards for Millennium Item holders: Yami Yugi, Maximillion Pegasus, and Ishizu Ishtar. This product is called Speed Duel Starter Decks: Destiny Masters. The other set of 3 Decks contains Decks and Skill Cards for their friends and rivals. This product is called Speed Duel Starter Decks: Duelists of Tomorrow. Joey Wheeler, Mai Valentine, and Seto Kaiba are represented in Speed Duel Starter Decks: Duelists of Tomorrow. 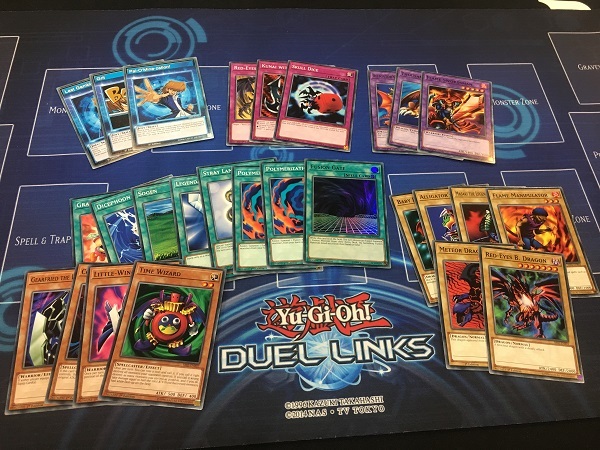 You can read more about these Decks and Speed Dueling here. Each card from the Speed Duel Starter Decks is marked with a “Speed Duel” stamp that signifies it can be used in Speed Dueling. ONLY cards that say “Speed Duel” on them can be used in Speed Dueling. Keep that in mind while you’re building a Speed Duel Deck. Even though you can’t put cards without the “Speed Duel” stamp into your Speed Duel Deck, you CAN put cards with the “Speed Duel” stamp into your Yu-Gi-Oh! TRADING CARD GAME Deck. 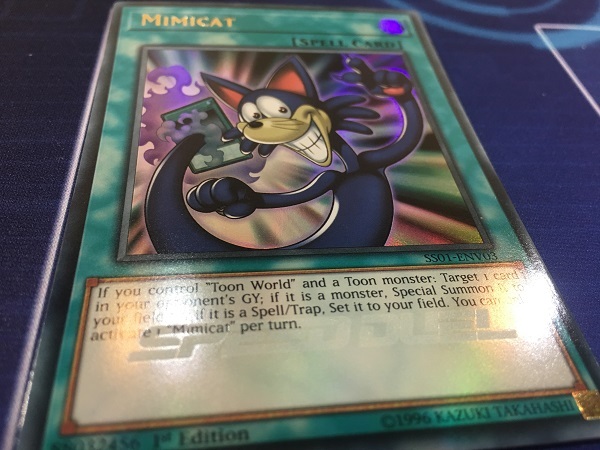 The Mimicat below shows off what a card with the “Speed Duel” stamp looks like. 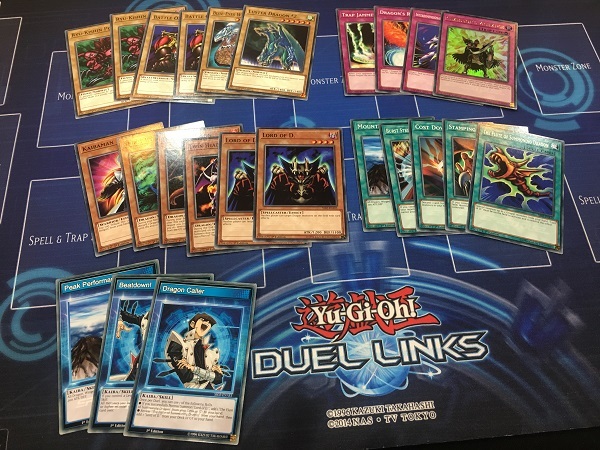 Each character’s Speed Duel Deck comes with 20 Common cards and 3 Skill Cards, but each set of 3 Speed Duel Starter Decks also comes with a pack that contains 3 Ultra Rare Speed Dueling cards that are meant to be integrated into the Speed Duel Starter Decks. You can check out the 6 different character Decks, each with the Ultra Rare variant card intended for the Deck integrated into it, in the photo gallery below. Speed Dueling will officially become a reality when the Speed Duel Starter Decks release on January 24th!